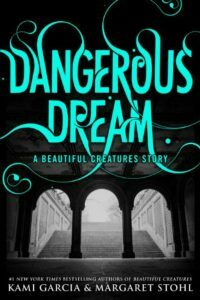 If you fell in love with the dark, edgy and imaginative world of The Caster Chronicles (like me), you’ll love Dangerous Creatures—a spin-off series rife with mystery and magic, suspense and romance. The series is currently comprised of a novella and two full-length novels. 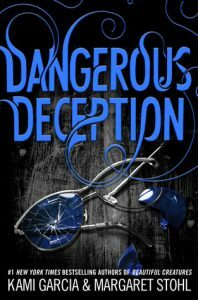 The latest, Dangerous Deception is available now and continues Ridley Duchannes’ story. I’m so excited to spotlight this novel! 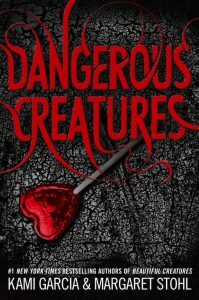 If you’re new to this world, you don’t need to have read The Caster Chronicles books, you can start with Dangerous Creatures. Expect a little danger, a lot of intrigue and a dash of angsty romance and addictive suspense with these YA southern gothic novels penned to draw you in from the first flip of the page. Kami Garcia is the #1 New York Times bestselling coauthor of the Beautiful Creatures & Dangerous Creatures Novels & the author of the instant New York Times bestseller and Bram Stoker Award nominated novel UNBREAKABLE, and the sequel UNMARKED, in the Legion Series. BEAUTIFUL CREATURES has been published in 50 countries and translated in 39 languages. The film adaptation of BEAUTIFUL CREATURES released in theaters in 2013, from Warner Brothers. Kami is fascinated by the paranormal, and she’s very superstitious. When she isn’t writing, she can usually be found watching disaster movies or Supernatural, listening to Soundgarden, or drinking Diet Coke. She lives in Maryland with her family, and their dogs Spike and Oz (named after characters from Buffy the Vampire Slayer). 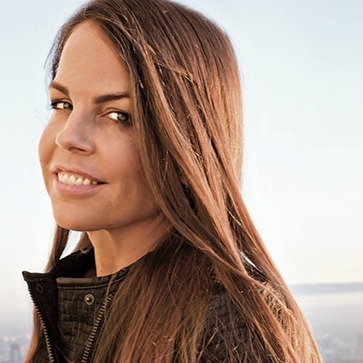 Margaret Stohl is the author of Icons as well as the coauthor of the #1 New York Times bestselling coauthor of the Beautiful Creatures & Dangerous Creatures Novels (with Kami Garcia.) 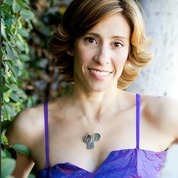 Margaret is a veteran of the video-game industry, and after working with Activision (now Activision Blizzard) and Westwood Studios (now Electronic Arts), Margaret became a cofounder of 7 Studios with her husband, Lewis Peterson. She has previously been nominated for Most Innovative Game Design at the Game Developers Conference. A graduate of Amherst College, where she won the Knox Prize for English Literature, Margaret earned a master’s degree in English from Stanford University and completed coursework for a doctorate in American Studies at Yale University. Margaret was a teaching assistant in Romantic Poetry at Stanford and in Film Studies at Yale. She attended the Creative Writing program of the University of East Anglia, where she was mentored by the Scottish poet George MacBeth. Margaret loves traveling the world with her daughters, who are épée fencers, and living in Santa Monica, California, with her husband and two bad beagles. I wanna know what happens to Ridley when is the next book coming….